The LYNX Blue Line is the Charlotte region's first light rail service; it opened in 2007. When the extension is completed, the line will operate along 18.6 miles, from I-485 at South Boulevard to the UNC Charlotte campus. Construction will continue through the spring of 2017. During that time, trains will begin running but will not be open to passenger service. Passenger service is expected by March 2018. Here's an aerial video of Charlotte's LRT extension project. 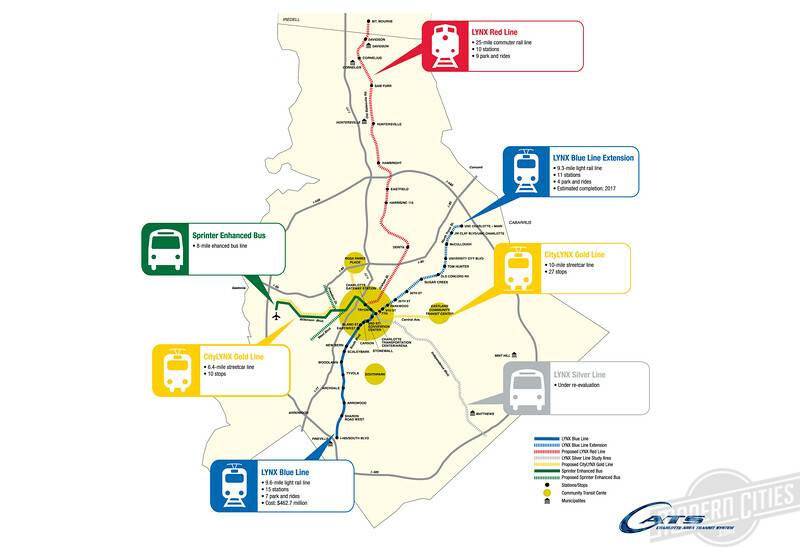 A map of existing and proposed transit lines throughout Charlotte. The LYNX Blue Line Extension allows for a new dimension of connectivity between UNC Charlotte and the neighborhoods and business districts along the Blue Line as far south as Pineville. Light rail also provides greater accessibility for the citizens of the region to the resources of the University. 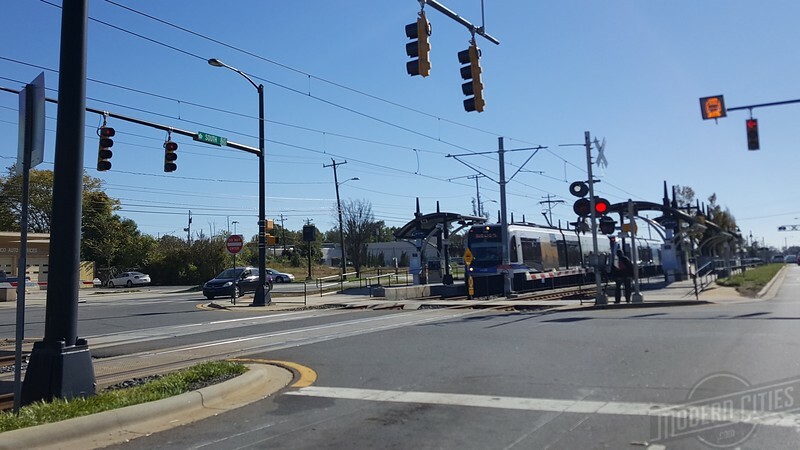 New light rail stations at Ninth Street – beside UNC Charlotte Center City – J.W. Clay at North Tryon Street and Cameron Boulevard at Wallis Hall (near North Deck) will bring the convenience of light rail to the University doorstep. And as part of the Blue Line Extension, eight other new light rail stations – and related bus routes -- will provide an alternative to using automobiles. The prospect of bringing more people to and from campus for work, performing arts, athletic events, festivals and other activities will prove revolutionary for students, staff, faculty, alumni and visitors. UNC Charlotte showed its commitment to light rail by the granting of the right-of-way for the campus portion of the line. This right-of-way was valued at $4 million. So, UNC Charlotte – like Charlotte Area Transit System, the federal government, the citizens of Mecklenburg County and the state of North Carolina – is deeply and directly invested in this project.